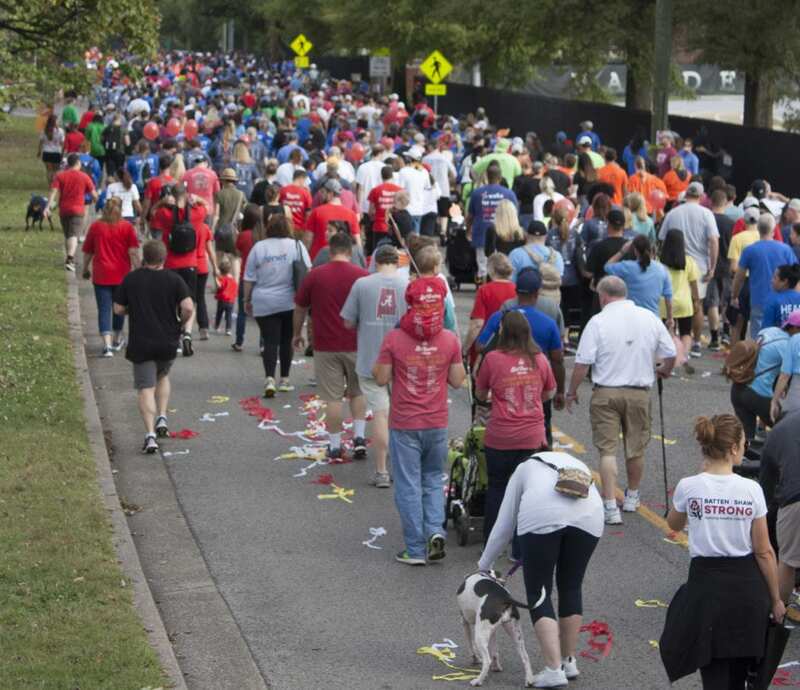 NASHVILLE, TN — The 25th annual Greater Nashville Healthy For Good Heart Walk, held this past Saturday, October 16, 2017 at Vanderbilt University’s campus, raised over $1.7 million for the American Heart Association, the world’s leading voluntary organization dedicated to building healthier lives, free of cardiovascular diseases and stroke. Fundraising efforts for the Greater Nashville Heart Walk are still ongoing at www.nashvilleheartwalk.org. Several local companies and organizations were on hand to offer their support and inspire heart-healthy living. SMS Holdings was recognized as the organization who raised the most funds for the event while encouraging “heartwalking” and healthier lives. Correct Care Solutions won the popular Company T-shirt Contest, while Eco Energy was recognized as the Top New Company for 2017. Prior to the start of the walk, attendees participated in family friendly activities such as fun fitness and warm up demonstrations, an exciting Kids Zone complete with face painting and a bounce house, a Top Dog contest, heart-pumping music from local band Soul Incision, and much more. Additionally, “heartwalkers” learned life-saving Hands-Only CPR and even got their blood pressure checked. Greater Nashville’s Healthy For Good™ Heart Walk, sponsored by Vanderbilt Heart and Delta Dental, is part of The American Heart Association’s Healthy For GoodTM movement which encourages Americans to lead healthier lives by delivering science-based recommendations, tools, tips and motivation to build healthier behaviors. Healthy For Good comes to life each year in 300 American cities when it is celebrated at the Healthy For Good Heart Walk.